Taste Texas is a new cooking show from KTXD's Amy Kushnir that inspires cooks to use fresh ingredients from the heart of Texas straight to your table. Inspired by her Mom and Grandmothers, Amy's passion for cooking began at age 19. She's a proud, 7th generation Texan, and loves meeting people who grow and make delicious food in the Lone Star State. Combining her passion for food and Texas is a long-time vision come true. Joining Amy in the kitchen is Chef Garth Blackburn. Born in Lubbock and raised in Houston, Chef Garth has a passion for all things Texas and that certainly includes stellar sources for seasonal ingredients. His parents’ home cooking got him started in the kitchen, and he really fell in love with food as a member of the U.S. National Cycling Team traveling to over 30 countries and eating “lots”. Share his passion and find great TX sources on Taste Texas or at Sub-Zero Wolf where he is Executive Chef. 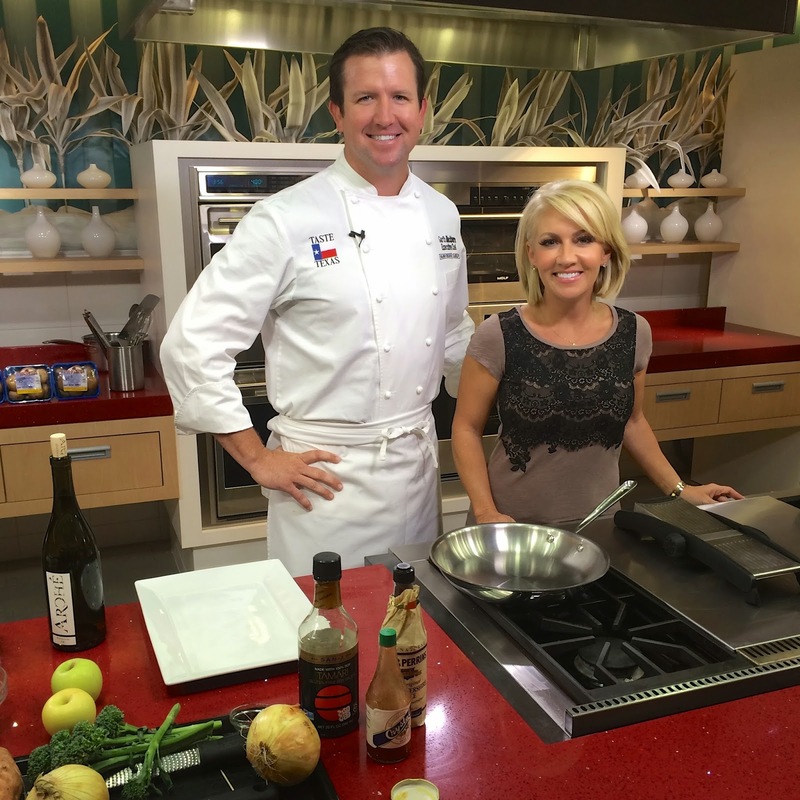 Taste Texas airs every Wednesday on KTXD-47 at 11am, Saturdays at 7pm and Sundays at 2pm. Once a month Taste Texas is filmed live at the Sub-Zero Wolf showroom located at 3707 Lemmon Ave, Dallas, TX 75219. Your next opportunity to attend a taping (and eat whatever it is they cook!) will be this Saturday, October 11. Tapings are at 11am, 12:30pm and 2pm. If you want to be a part of the live studio audience, send an email to rsvptexas@subzero.com! !